Lytham Hall, Lancashire The Seat of Mr.Henry de Vere Clifton. Softback: 13 x 9½ inches - 8 Pages. 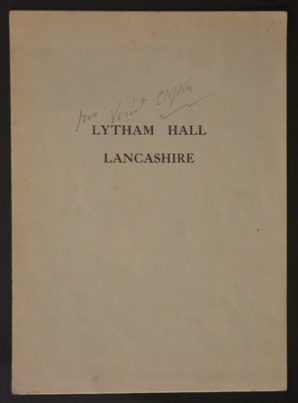 This copy signed by Violet Clifton.